Owning a dog is an amazing experience. From a puppy’s first wobbly steps to the warmth and comfort of snuggling a warm, furry body on a cold winter night, there are so many (too many) ways to talk about the joys of being a dog-parent. We are lucky to have had some adorable doggies in our lives from time to time, and right now our hearts belong to one little guy named Flash. 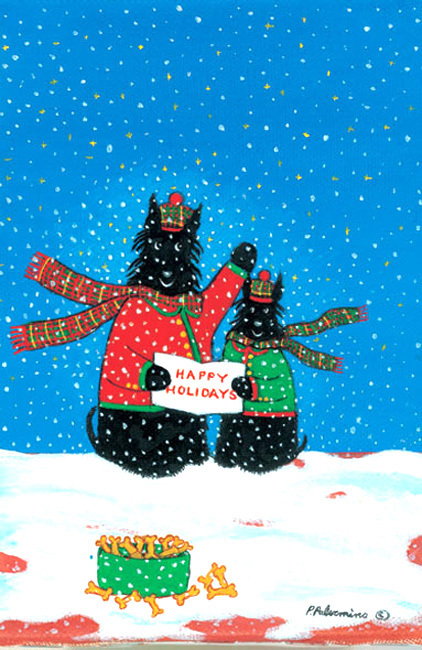 But there are two black Scotties named Alex and Andria that have been forever immortalized by renowned American folk artist Pat Palermino, and we want to tell you a little bit about them. 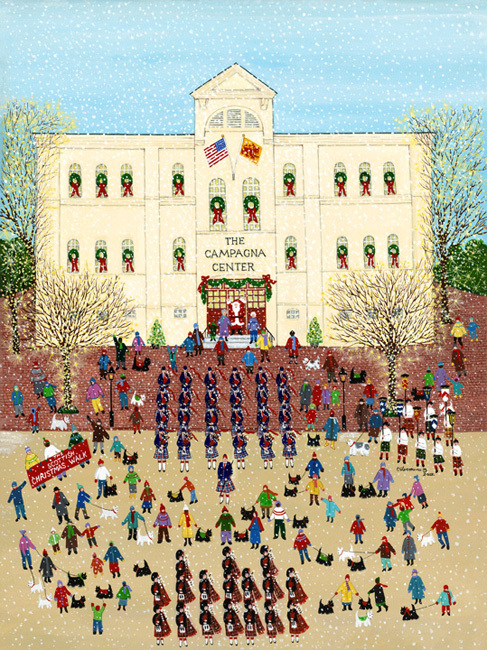 The Campagna Center’s Scottish Christmas Walk Weekend and Parade is the largest fundraising activity for The Campagna Center. The Campagna Center’s programs help children in Alexandria arrive at school ready to learn and ensure they are academically successful at each grade level. Now back to the dogs! Pat Palermino was inspired by this majestic display and created Alex and Andria. 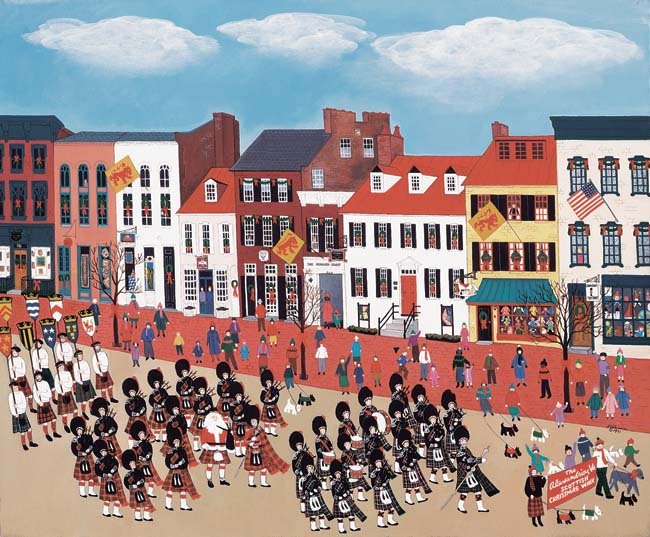 Pat Palermino not only painted pictures of Alex and Andria proudly marching in the Parade, but she even wrote and illustrated a children’s book about them. This book is available to purchase along with a little stuffed Scottie dog (the Kimpton Hotel Monaco in Alexandria has them in every room!). But Alex and Andria don’t just come out to play once a year for the Parade. Pat Palermino has captured them out and about in Alexandria playing and having fun like two little Scottie dogs should. 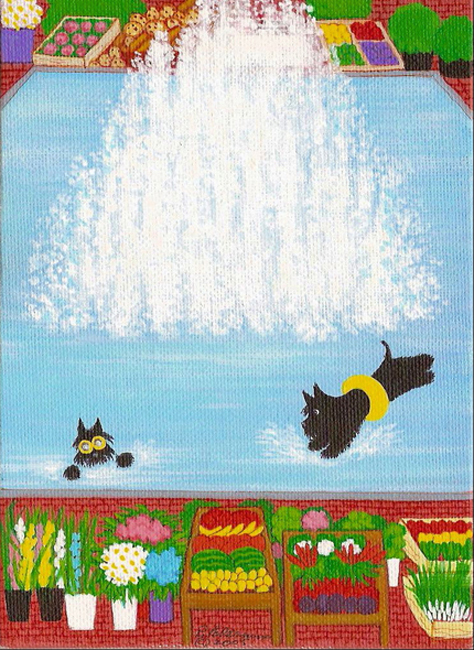 Once again, Pat Palermino hits it out of the park with whimsical contemporary folk art that all ages will enjoy! 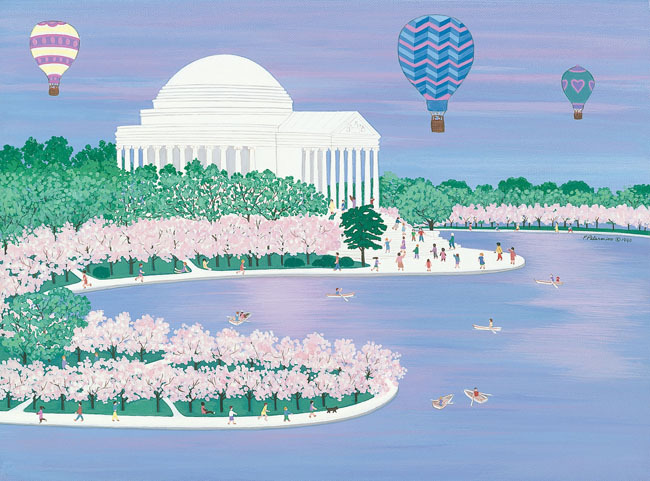 Please visit the website or call us to order Alex and Andria folk art originals, prints, note cards, books and toys.